The Three Stooges, shop the latest comedy brought to us by Peter and Bobby Farrelly, more about arrives in theaters today. The movie was directed by the Farrelly Brothers, mind who also co-wrote the screenplay with their Me, Myself and Irene collaborator, Mike Cerrone. The new comedy brings the mischievous trio of Larry, Moe and Curly into the 21st Century, where they wreak havoc in an orphanage and in the surrounding community, with their physical comedy and crazy antics. Looking back, it’s easy to recognize the importance of a film like Dumb and Dumber. Yes, it was a lowbrow comedy, but it provided a great forum for both rising star Jim Carrey and its directors (the Farrelly Brothers). It was Jim Carrey’s third film that year (along with The Mask and Ace Ventura: Pet Detective) and helped cement his reputation as a young comedic talent. And now, nearly twenty years later, it looks like Carrey will soon be returning to the role. 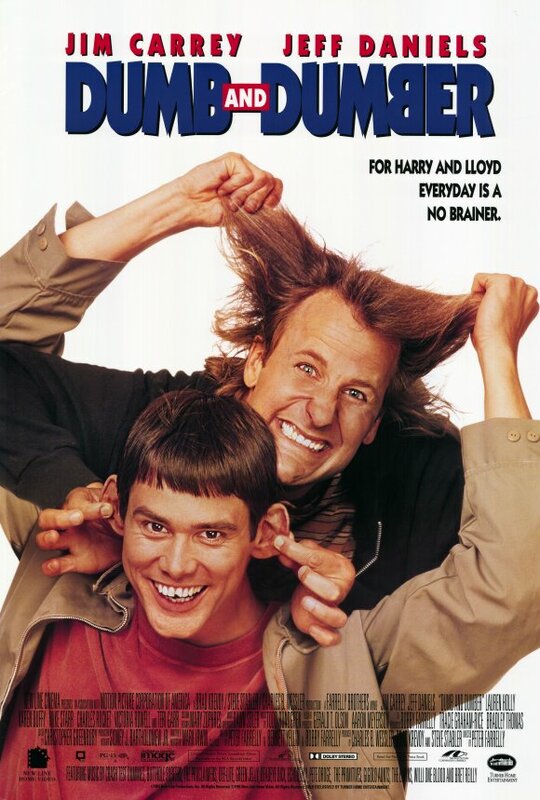 But in addition to helping Carrey grow in his career, Dumber was the first movie that the Farrelly brothers directed, according to IMDB.com, although the site notes that Bobby was not credited for it. Both of the brothers co-wrote the huge box office hit, which helped jump-start their careers. f Dumber helped launch the Farrelly Brothers’ careers, There’s Something about Mary cemented their reputation as filmmakers who could make outrageously funny films. Shortly after Dumber arrived in theaters, the two brothers found success in their bowling comedy Kingpin but Mary was much bigger than that. It was a rare word-of-mouth comedy that maintained momentum at the box office weeks after its release. Starring Cameron Diaz and Ben Stiller, the politically-incorrect film focused on a woman named Mary, who every man seemed to fall in love with. Hence the title. 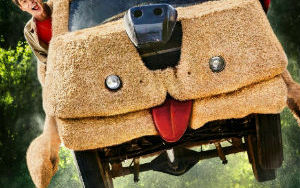 The silly but simple plot set the stage for a series of great belly-laughs and outlandish jokes. There was definitely something to be said about Mary – and audiences found that out as the movie became a massive hit. Shallow Hal may not have been the best Farrelly Brothers movie, but it was one of their most heartwarming films. The story focuses on a superficial and selfish man (played by Jack Black), who can’t see beyond people’s outward appearances. Hal (Black) would have little time for the overweight Rosemary (Gwyneth Paltrow) if he was in his normal state of mind. But after being hypnotized, he begins to see beyond people’s looks and develops feelings for Rosemary. The Farrelly brothers directed this film and co-wrote the script with Sean Moynihan. Like many of their previous flicks, Hal became another hit for the gifted filmmakers. Stuck on You arrived in theaters two years after Shallow Hal. It wasn’t the box office smash that the earlier Farrelly Brothers films had been, and over the years it’s been forgotten by many. But this is one of the most under-appreciated films that the brothers worked on. The movie focuses on two conjoined twins (played by Matt Damon and Greg Kinnear), who have little in common. If they could separate from each other they would, but they are stuck as a pair of brothers who must face the world together. Like the Farrelly brothers themselves, Damon and Kinnear have a great connection and the movie delivers plenty of laughs. But like many of the Farrelly films before it, Stuck on You also offered up plenty of heart. As a lifelong Red Sox fan, it’s difficult not to appreciate Fever Pitch, the 2005 Farrelly Brothers comedy. Sure, some of the jokes falter and the film pales in comparison to some of the early Farrelly productions, but this was a movie made about diehard Red Sox fans who had watched their team lose time and time again. And when the movie was being filmed, the Sox were in the process of breaking an 87-year losing streak and winning a long-awaited World Series. Loosely adapted from a Nick Hornby novel, the film focuses on a boy, a girl and the greatest baseball team in the world. Jimmy Fallon is the main character whose relationship with Drew Barrymore suffers during baseball season. It’s not a great film, but it’s a solid one – especially for baseball fans and those looking for a sweet but often funny romantic comedy. Although the Farrelly brothers have only been making major motion pictures for the last twenty years, they’ve already left quite an impact on pop culture. In addition to the films that I’ve listed here, the brothers are also responsible for other big comedies like Kingpin (1995), Me, Myself and Irene (1998) and Hall Pass(2011). Once again, here’s my list of 5 Farrelly Brothers Movies that you shouldn’t miss. Be sure to read the official ScreenRant.cm Three Stooges review. What are your must-see Farrelly brothers flicks? 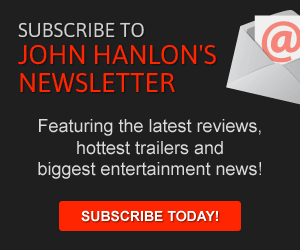 Let me know in the comments and as always, make sure you follow me on Twitter @johnhanlon. This piece was originally published on ScreenRant.com.